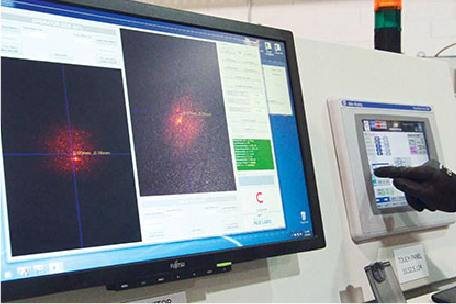 The Automatic Print Quality Control System, having a resolution up to 60μm for the 1000 mm glasses and 122 μm for the 2000 mm glasses (on long edge leading), is able to verify the quality of the design up to a circular dot of 0,09 mm2 and recognize any “slavering” or “widening” of the design’s details due to an excess of ink coming from the screen. 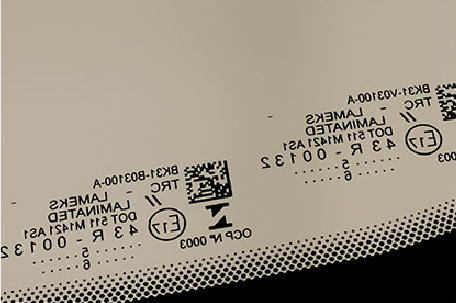 The system is able to detect fade out dots, pin hole, or if there are missing parts of the design and alert the operator to verify the possible cause (e.g. lack of ink, dried ink on the screen, etc…). 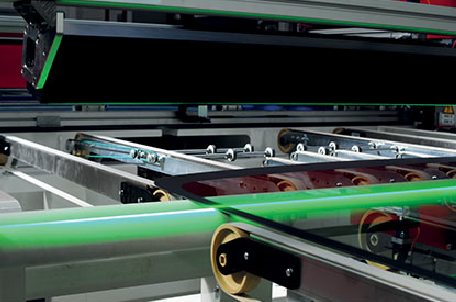 This system, typically installed downstream the washing machine, is able to scan the whole glass and detect any defect present on the raw glass. The extremely high sensibility and the exclusive lightning system, allows to identify any scratches (even the lighter ones), shell chips, bad edgeworks, seeds, stones, adhesion chips and other surface defects. 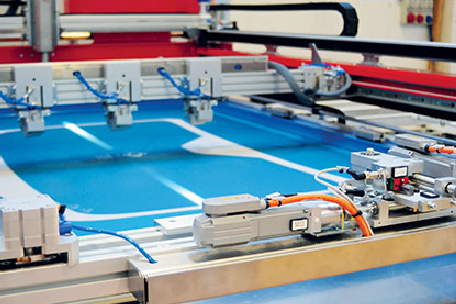 The use of the Automatic Screen Registration System, being able to realize the alignment of the screen in a blink of an eye, allows performing a complete model changeover in an extremely short time, since the machine setup becomes completely automatic and the operator’s action is reduced only to insert the new screen in to the printing machine. This special unit has been studied to control the glasses and to check the presence of ink spot on the lower surface of the glass. This unit is positioned just downstream the printing machine. The advantage of this innovative system, if compared with other “aged” system, is that doesn’t matter where the screen has been broken or how “small” can be the hole; if there is a leakage of ink, this unit will detect it.